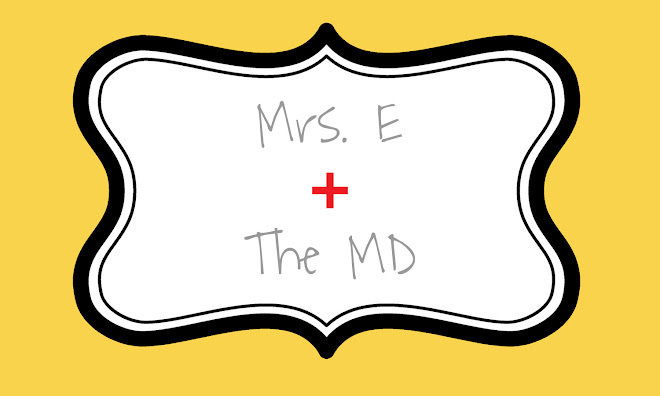 Mrs. E and the MD: Happy New Year! What a crazy year 2008 was. It had its ups and downs. I always like to reflect back and see how far we've come in 12 months. We either attended or were a part of five weddings this year. We went White Water Rafting in Tennessee, which is something I thought I would never, ever do! We went on our first getaway as a married couple to Chicago and loved every minute of it! We bought our first home and said goodbye to apartment life forever! We went to our first Colts game in Lucas Oil Stadium. We experienced the joy of finding out we were pregnant and the sorrow of losing our first baby. We rang in the New Year with a dinner at Champps downtown with friends, and then we headed to Sarah & Ryan Ordo's home for the 2nd year in a row to be with them and Abel & Elizabeth. E and I waiting for the ball to drop! A new year's kiss of course!